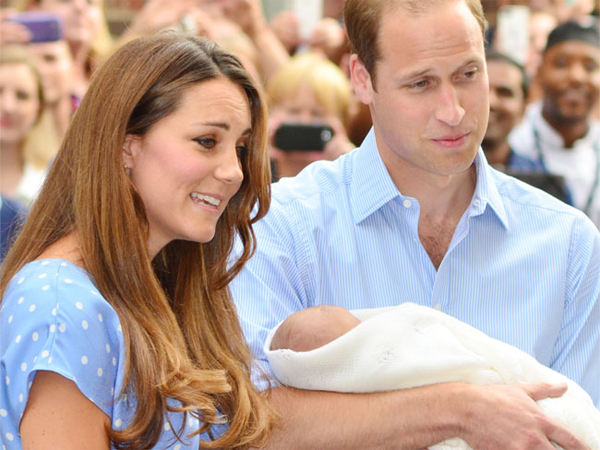 The Duke and Duchess of Cambridge have once again broken with royal tradition by not choosing members of the royal family as Prince George’s godparents. Instead William and Catherine chose old school and university friends to fulfil this role. Fergus Boyd, a school friend of William’s, and Emilia d’Erlanger, a friend of Kate’s from her days at Marlborough College, will be George’s godparents, according to The Telegraph. Hugh van Cutsem, one of William’s oldest school friends, will also be a godparent to George.